We are a small Badminton Club formed in 2011 in Eastbourne. 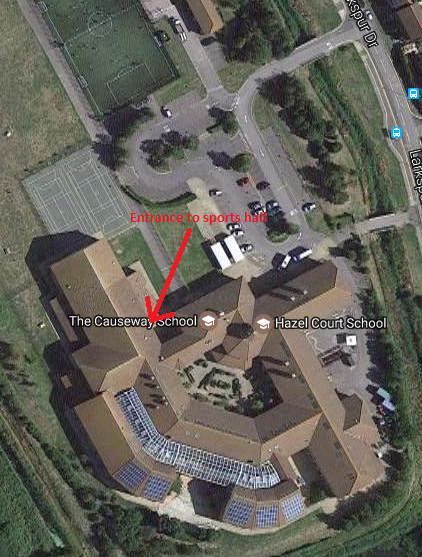 We play at Causeway School in Eastbourne on a Friday night during the badminton season, entering into the Eastbourne Men’s Division 1, Brighton Mens Combi Division 1, Brighton Men’s Division 1 (A Team) and Brighton Mens Division 2 (B Team) leagues. If you are interested in coming along for a trial please feel free to use the contact us page to get in touch. 1. Make contact with us, details are on the ‘Contact Us’ page. 2. Come along to a club night, the first one is free. 3. After the first night see if you like the club, also the committee will decide if you are the required standard to continue the trial. 4. If successful, come to a further 2 club nights, these are at a cost of £5 per night. 5. Again, if you are happy to join, the committee will then vote on accepting you to the club or not. 6. If accepted, as with all members, full subs payment is required. The amount will depend how far into the season you have joined. Please note that the money paid whilst on trial will be deducted from the yearly fee. To add the calendar into Outlook please use this link. Club and match nights run from 8pm – 10:30pm at Causeway School from 1st September through to 31st May. If you would like any more information on Arctic Spas Badminton Club or would like to come along as a guest please feel free to contact us. When visiting Arctic Spas Badminton Club, the IP address used to access the site will be logged along with the dates and times of access. This information is purely used to analyze trends, administer the site, track users movement and gather broad demographic information for internal use. Most importantly, any recorded IP addresses are not linked to personally identifiable information.